Packed full of fresh garlic, it is a garlic connoisseurs dream. Like any of these jellies, its good with anything, if you like garlic. We have yet to taste or see a stronger garlic jelly. 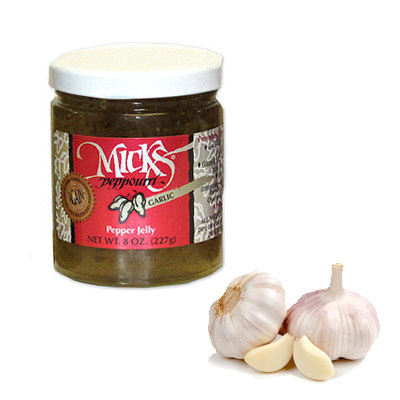 Makes a delightful garlic bread or try on pizza, besides glazing any meat. If garlic is your passion, this is the one for you!